Coniston 5 in Troutbeck Bridge, near Windermere, Cumbria sleeps 4 people. 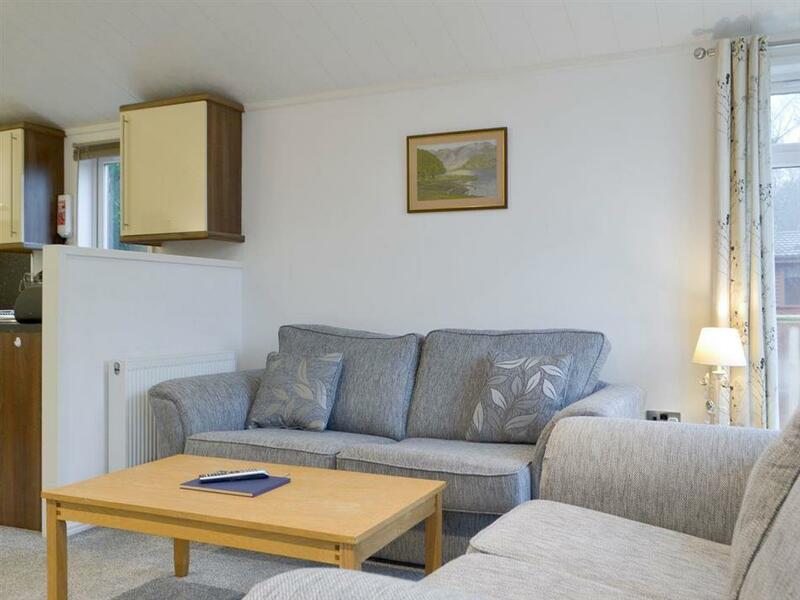 Coniston 5 near Windermere can be found on the popular White Cross Bay Holiday Park; Coniston 5 is a timber lodge perfect for couples, families and friends looking to enjoy the advantage of a lakeside holiday park setting, leisure facilities and day and evening entertainment to enjoy. 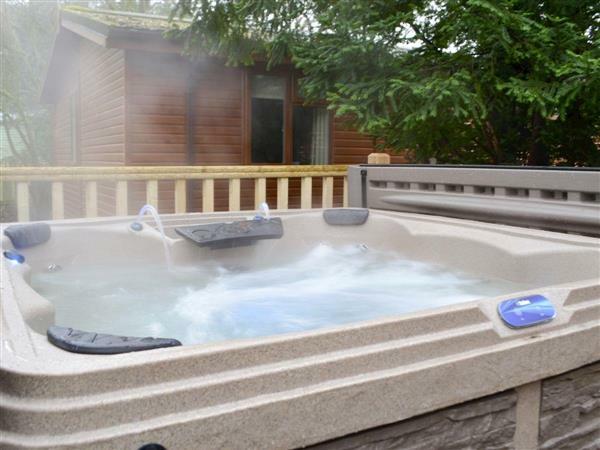 With the bonus of your own private hot tub, there’s much to be enjoyed literally on your doorstep. Comfortably furnished, this light and airy lodge enjoys an open plan living space which opens onto the decking area where the hot tub is neatly tucked away and offering the perfect end to a busy day of exploring. For guests who prefer to stay on-site, a stroll away from the lodge takes you to the shores of Lake Windermere. Whatever time of year, the views are simply breath-taking and a picnic on the shore is a delightful spot to relax, watch the boats and steamers pass by and soak up the views of the lake and distant fells beyond. The park offers excellent on-site facilities including an indoor heated swimming pool, sauna, Jacuzzi and gym (leisure pass £15 per booking, payable on arrival), along with a sports area, shop, pub and restaurant. Coniston 5 is well placed for guests to make the most of this fabulous area of Cumbria. Head just a couple of miles along to the delightful village of Troutbeck Bridge, a pretty traditional Lakeland village, where the scenery changes dramatically to a more rugged and natural landscape. Those brave enough can enjoy the 1500 foot high route over the Kirkstone Pass to Lake Ullswater, the views are well worth the drive as you descend from the summit. Again, just a couple of miles away from your accommodation you will find the much loved villages of Ambleside, Windermere and Bowness which all offer visitors a delightful selection of independent retailers, pavement cafés, restaurants and traditional pubs. The shop, pub and restaurant are all on-site. Living area: With electric fire, Freeview TV and French doors leading to decking. Gas central heating, gas, electricity, bed linen, towels and Wi-Fi included. Enclosed decking with garden furniture. Hot tub (private). Indoor heated swimming pool, gym, spa pool, sauna, steam room and changing facilities (shared with other properties on-site). Private parking for 1 car. No smoking. Please note: There is an unfenced lake and stream in the grounds, 50 yards away. Holidays at Coniston 5 run from Friday to Friday. For a better idea of where Coniston 5 is, you can see Coniston 5 on the map below. Coniston 5 is in Cumbria; should you be on the lookout for a special offer, you can find all the special offers in Cumbria. It's always worth checking to see what is on offer at the moment. Do you want to holiday near Coniston 5 (UK1224), you can see other cottages within 25 miles of Coniston 5; have a look to find your perfect holiday location.